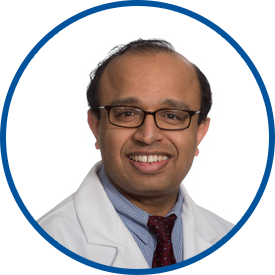 Dr. Samuel is board certified in internal medicine and was awarded his medical degree by Finch University/Chicago Medical School, N. Chicago, IL. He then completed his internship and residency at the University of Connecticut School of Medicine, Farmington, CT. Currently, he is chief of the Section of Internal Medicine at Norwalk Hospital. He also has a teaching appointment as assistant clinical professor of medicine at Yale University School of Medicine in New Haven, CT. Previously, Dr. Samuel was in private practice as an internist with Norwalk Medical Group since 2005. He is a member of the Alpha Omega Alpha medical honor society and the Fairfield County Medical Association. Dr. Samuel’s special areas of clinical interest are cardiology and diabetes. Awesome physician. Good person very calming & competent. I have had always a wonderful experience with my Doctor and Medical Assistant. Dr. Samuel is a great doctor. a colleague recommended him to me, and I would be glad to recommend him to anyone. I regularly refer clients, friends and family to Dr. James Samuel, who is excellent, thorough, knowledgeable, caring, thoughtful, patient--he truly listens to the patient and thinks through medical problems thoroughly to formulate diagnosis and treatment plan, then follows up excellently. He is a life-saver, even for clients who present with difficult to deal with manners, mental impairments, young, old, etc. awesome experience with Dr. Samuel he cares about his patients. I have recommended Dr. Samuel to two women who are now his patients, and they are glad I did. A pleasure having Dr. Samuel as my doctor.